Locals and visitors alike can enjoy an evening of family friendly Food Drink Fun at The Soundside event site in Nags Head, starting at 5pm with live entertainment and followed by an outdoor movie under the stars. Local food, beverage, and craft vendors will be on hand offering pizza, BBQ, popcorn, frozen yogurt, local art and more for sale on site. There will also be a silent auction with all proceeds going to the Beach Food Pantry! All are invited to help kickoff the weekend and bring some lawn chairs to enjoy all three shows (music, sunset and movie). Admission is FREE with a canned food or a $3 donation (per person) to the Beach Food Pantry – just bring cash for food and beverage purchases (no outside food or beverages allowed). Tickets for other Taste Of The Beach events will also be available for purchase on site, and it may be your last opportunity to buy tickets in advance for some of the weekend events that have yet to sell out! Service animals and friendly pets on leashes are permitted. 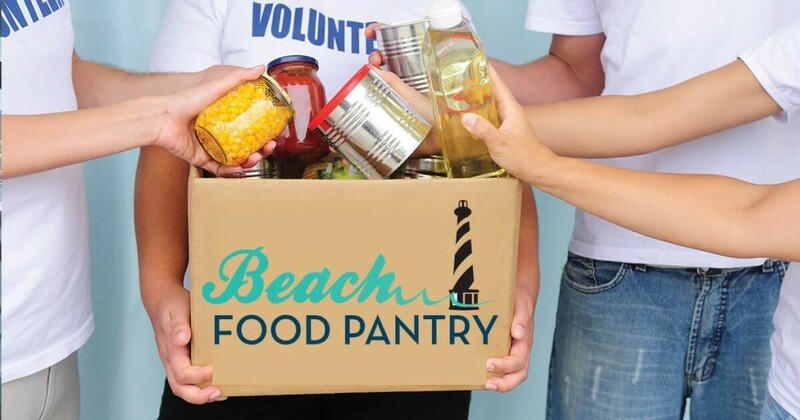 *Admission is free with a donation of one canned food item, or $3 per person to support the Beach Food Pantry, keeping this a true ‘local’ event by supporting the Food Pantry’s mission to help those in Dare County with food insecurity.